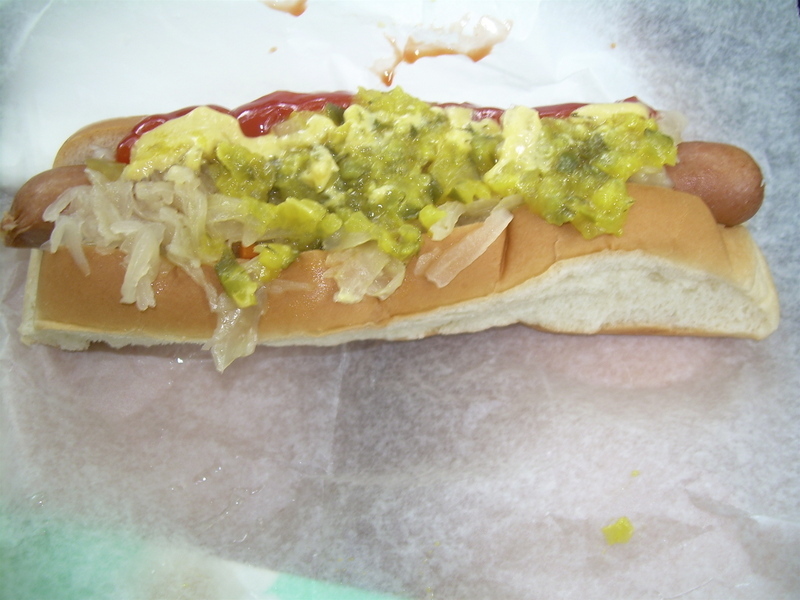 I did it, I FINALLY went to the Hewtin's Hot Dog Cart. This gem, located in the park on Blackstone Boulevard on Hope Street, is in its 4th year of existence. It is owned by the upscale French restaurant, Chez Pascal, across the street and all of the ingredients are made fresh there. It is open on Tuesday-Saturday from 11:30-5:30 p.m. weather permitting. On the website, it says "non-rainy days" but I have been by the park on just a miserably cloudy day, and the hot dog cart is nowhere to be seen. So, make sure it is nice and sunny before you venture out to get yourself a dog. We both agreed that the hot dog itself and the toppings were delicious (and well worth the $2.50-$3.00 we paid for them) but we echoed the reviews of others and thought that the bun needs a lot of work. It's a standard Wonder Bread type split bun, so it's very soft and doesn't hold up to the ingredients very well. 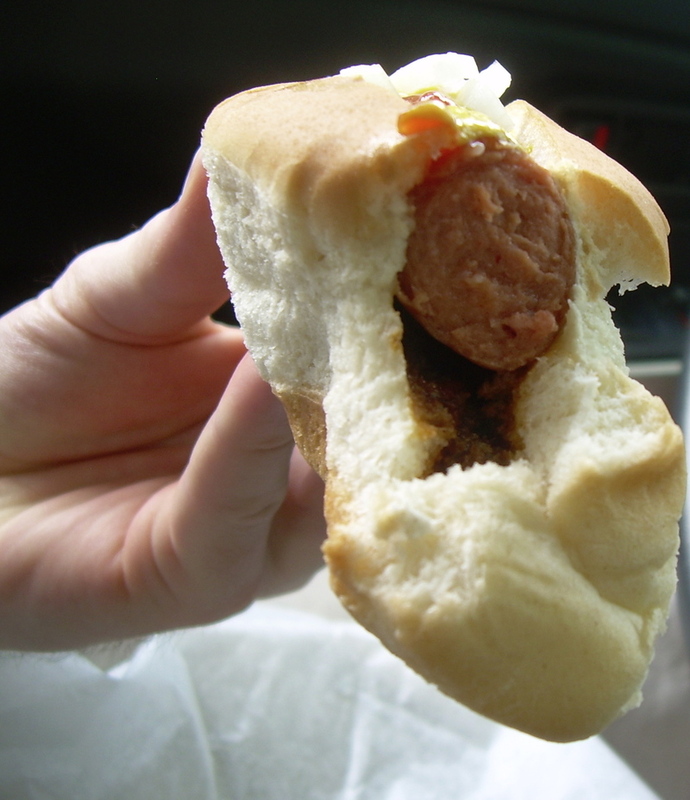 I prefer a stronger, crustier on the outside bun like the fresh ones they make at Spike's. But, overall, the hot dog cart is delicious with lots of fresh toppings and a friendly server! I'll definitely be back to try the brisket sandwich! The brisket sandwich is amazing -- do try it if you get a chance! haha! i've never thought about it like that before, and you may have just changed my mind about hot dog buns forever. and i do agree, while the bun IS good at spike's, it does need to be a little bit thinner. thanks for stopping by the blog! Glad you're open to my hot dog bun as a utensil ideas. I really enjoy your blog. Being a Providence foody myself, it's nice to get other opinions outside of my close knit prov foody crew. We need to have a giant prov food fest!